First of all, my goodness, my last post here was in July. Crazy. And the topic -- permits to finally get the work going. HA! Just two days later the whole shebang that was to be the summer of 2013 went waaay off the rails, including the startup of said reno. Whaddaya gonna do? Regroup, new plan and move forward. That forward movement landed Mr. A and I in Washington, DC last weekend. We breezed in and out of there before that wench of a storm Sandy blew over. Our getaway was strange and wonderful. It was brief, so by no means did we cover all the sites. Mostly it consisted of a lovely party at Darryl Carter's new retail/studio space, a couple of strolls through Georgetown oggling the houses and popping into a few antiques and design shops (natch). The wind down was a gossip-drizzled brunch with the charming Mr. Charles Grazioli - the Watson to Mr. Carter's Sherlock Holmes. This, my lovelies, is the oldest standing building in Washington, DC. 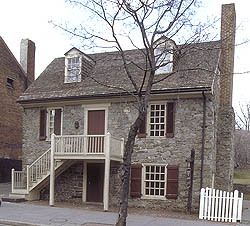 It is simply and aptly called the Old Stone House and dates to 1765. This home was spared from the torches of those nasty Brits who set public buildings in Washington alight in August 1814, during the War of 1812 (oh, ya, that little war, oops, right, we won that one didn't we?). A couple of things struck me about this building. First, it's stuck in a complete time warp while the 21st century world buzzes all around it. It shares the streetscape on a busy shopping thoroughfare with Urban Outfitters and MAC Cosmetics. And second, it may be an historical museum house, but it looks so Right Now that I'm quite sure I could move right in. Remarkably, the house finishes and structure are about 85% original. 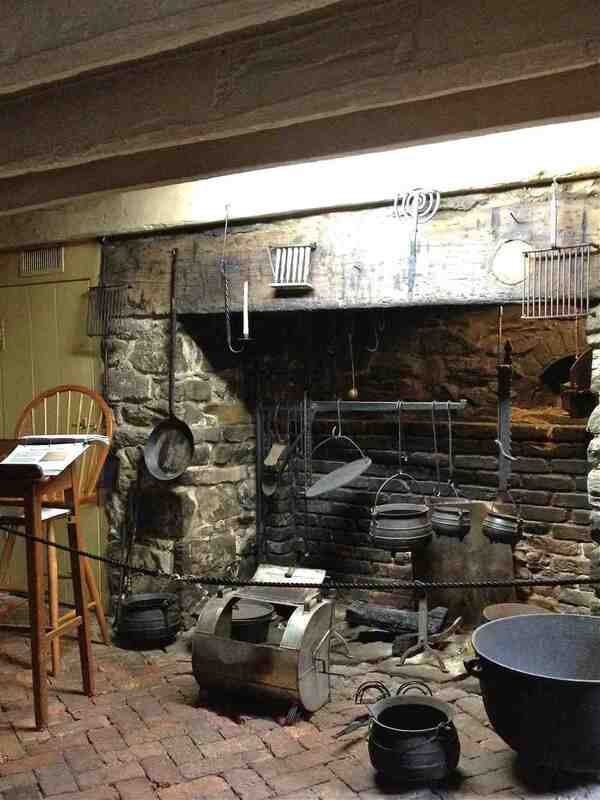 Look at the massive Rumford fireplace, which would have been the heart of the home, cooking etc. I swear you could see a room just like this on Remodelista today with a pair of back-to-the-landers cooking a locavore feast for a Kinfolk dinner. And if/when the Tweed House reno restarts, here's my dream flooring of choice for the mudroom: reclaimed brick. J'adore. Herringbone is playing itself out on a million Pinterest boards, but here it is c. 1765 proving the original is always best. More inspiration for Tweed: def. want to do a plate rack of some sort. Already have the pewter and crockery collections ready and waiting. Please enjoy the thickness of those walls, the construction of that door and that hardware. 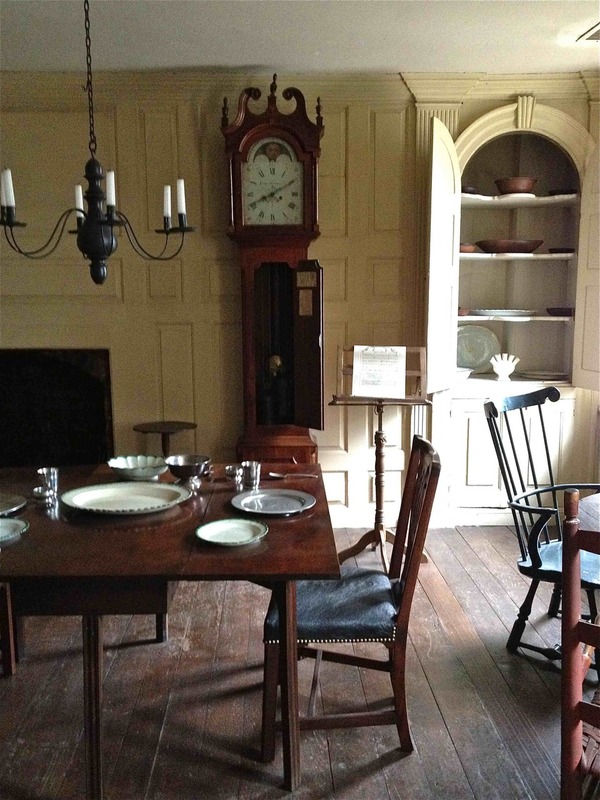 The upstairs parlor looks like just the sort of room that you might see on the pages of Ben Pentreath's new book English Decoration. The detail and buttery-good colour of the millwork, the chandlelier, the table, the chairs, the floor - yes, yes and yes. 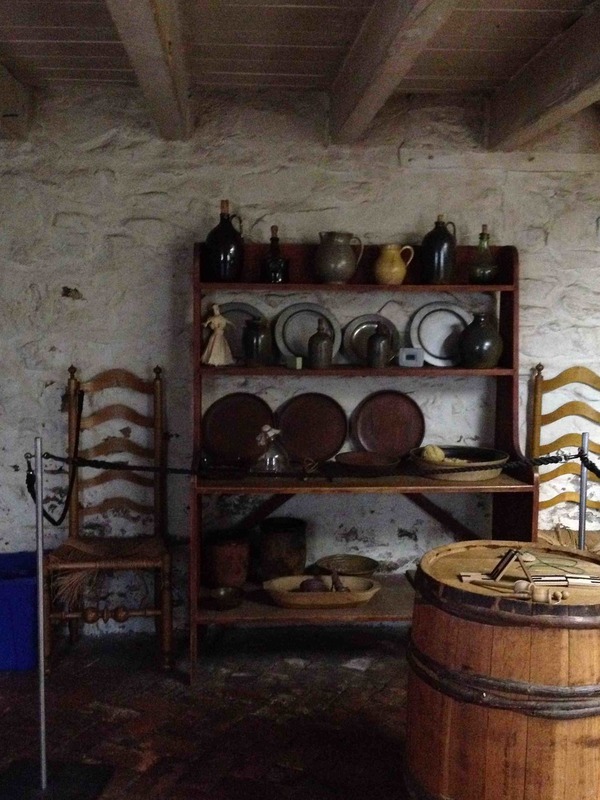 I could walk in here and live -- and I don't mean done up in a historical costume as a guide. This kids bedroom is tucked under the eaves on the third level. Looks so cozy. 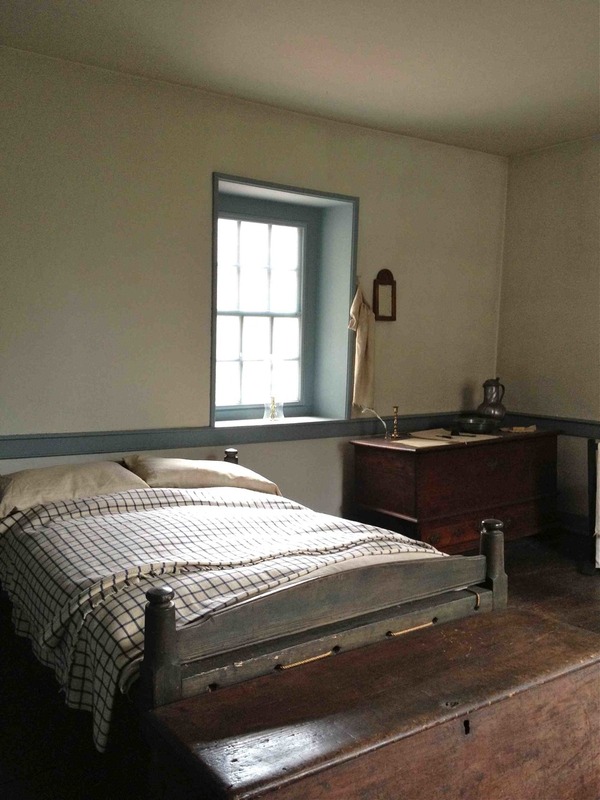 Here is the master bedroom. The blues and greys are very soothing, and so modern. And if I'm not mistaken the colour oxblood is beginning to have a moment in fashion and beauty. The chest at the end of this bed would most certainly have been coloured with actual ox blood. Ok, I know, eeewwww. But still, beautiful box! 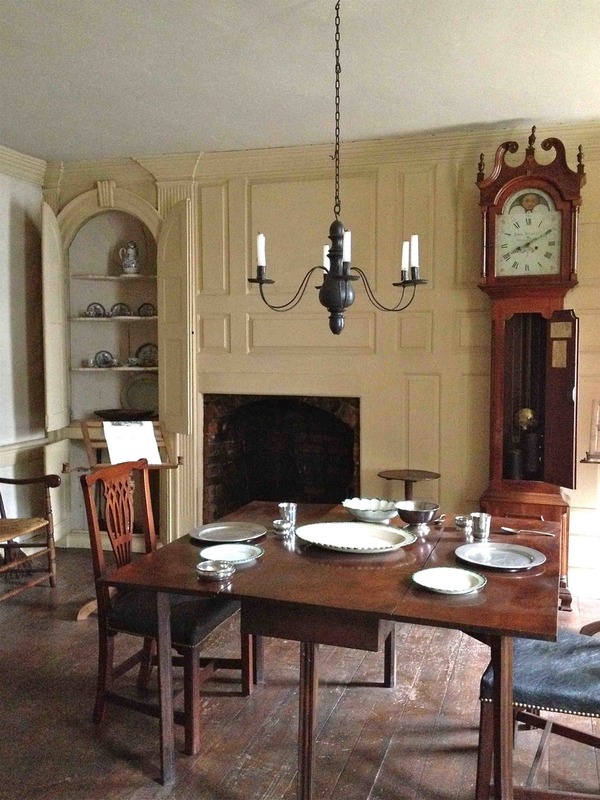 The mantel in this room is much more intricate than the other rooms - befitting the status of this room's occupant as head of house. I had to chuckle to myself when I saw the spinning wheel. 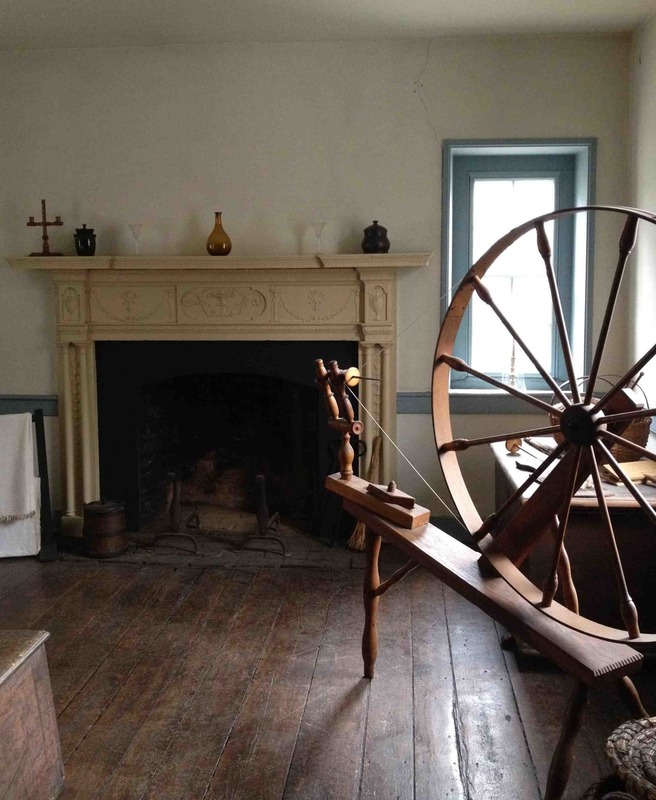 Do you suppose this is the 18th century version of having a treadmill in your room? Looks it to me. PS. I would die for that floor.